The Kingdom of Saudi Arabia has minerals resources that are highly diverse, both in terms of their variety and their location throughout the country. The diversification of economic base has been a consistent objective of the Saudi government throughout successive Development Plans. The minerals sector in Saudi Arabia is one of the economic activities that has already started to achieve this strategic goal of diversification. 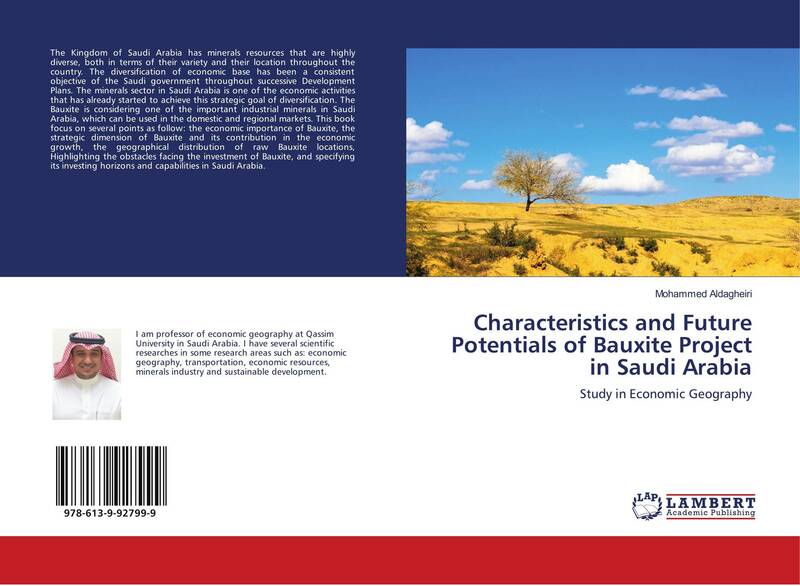 The Bauxite is considering one of the important industrial minerals in Saudi Arabia, which can be used in the domestic and regional markets. This book focus on several points as follow: the economic importance of Bauxite, the strategic dimension of Bauxite and its contribution in the economic growth, the geographical distribution of raw Bauxite locations, Highlighting the obstacles facing the investment of Bauxite, and specifying its investing horizons and capabilities in Saudi Arabia.